The town of Woodstock near Oxfordshire is easy on the eye year-round, but shines brightest in the summer. 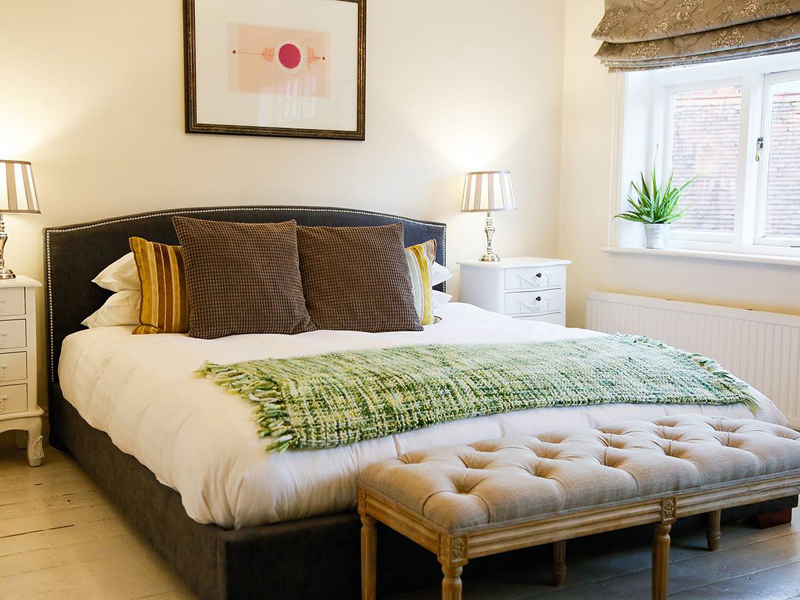 Wake up in one of The Crown Inn’s beautiful boutique bedrooms, start the day with a delicious breakfast in the suntrap courtyard and end it with evening cocktails in the airy, light-filled conservatory. Fill your days with strolls through the grounds of Blenheim Palace, Winston Churchill’s birthplace, or visit the ruins of Minster Lovell Hall and go wild swimming in the River Windrush. 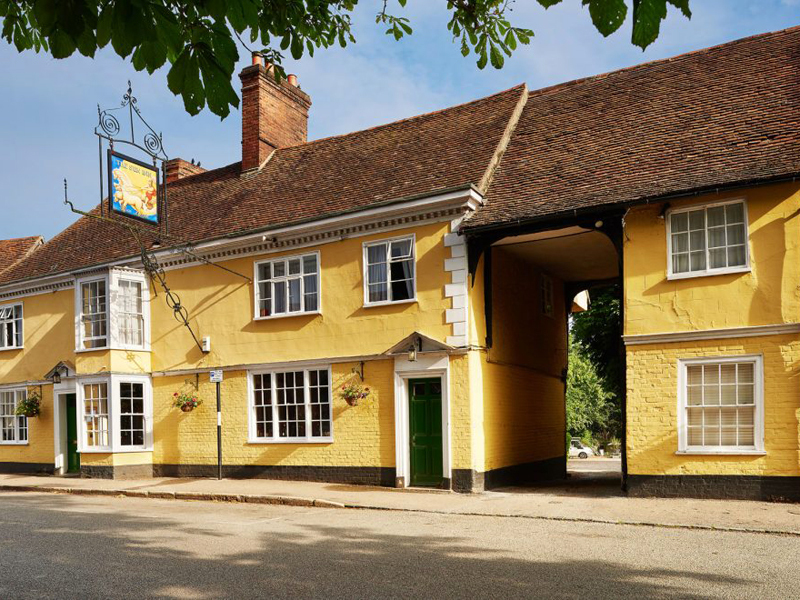 You’d be hard-pressed to find a building more summery than the beaming, buttercup yellow exterior of The Sun Inn, located in the picture-postcard village of Dedham. 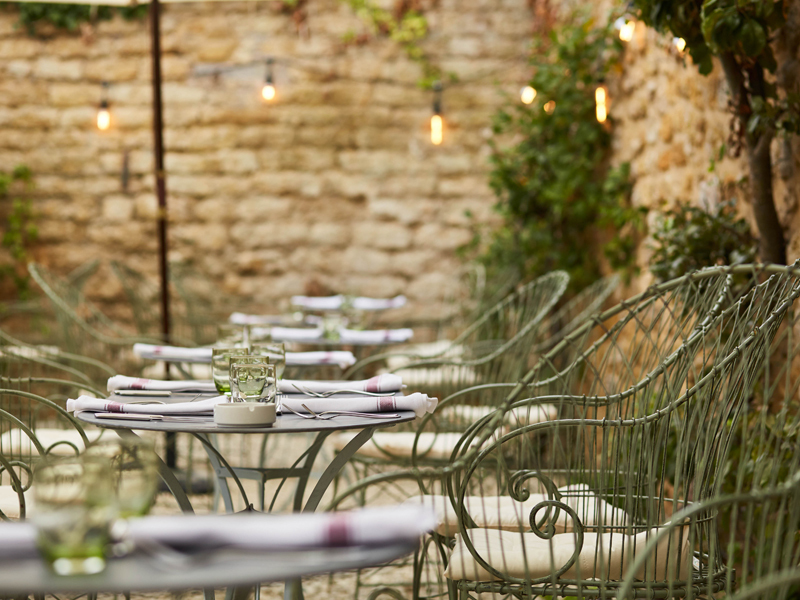 There’s a handsome pub garden at the rear for alfresco drinking and dining, where you can feast on local dishes that hark back to the Mediterranean. 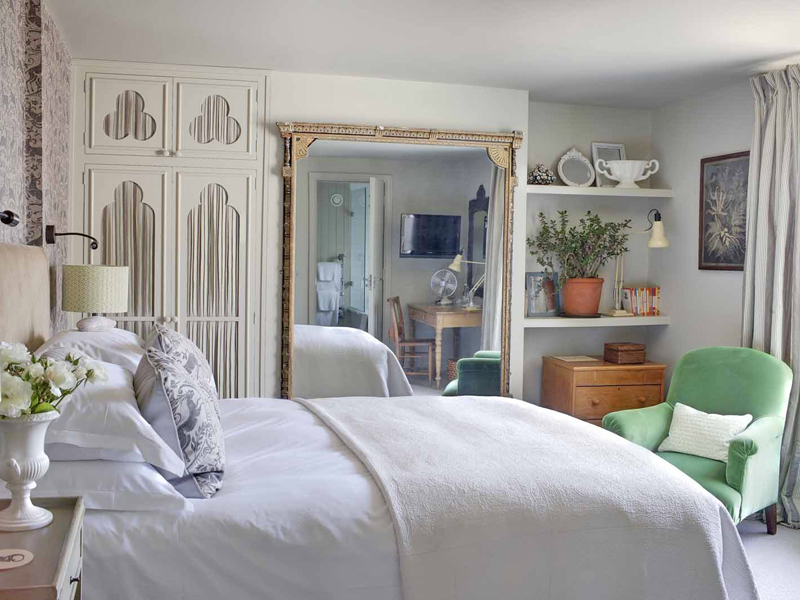 Upstairs, the historic building has been transformed into 7 characterful bedrooms each with unique original features. 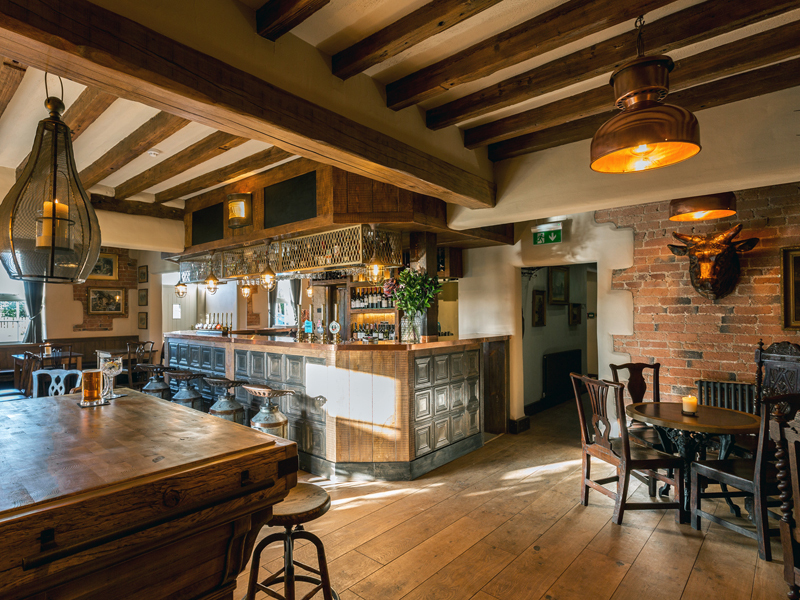 The George in Rye is a thoughtful restoration of a 450-year-old coaching inn set in one of England’s prettiest medieval towns. 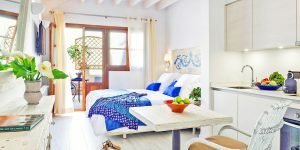 We love it for its excellent seafood, buzzing restaurant and beautifully designed bedrooms. It also gets bonus points for its proximity to Camber Sands, East Sussex’s only sand dune system, because what’s more summery than a day at the beach? On the corner of Falmouth’s buzzing high street, surrounded by galleries, boutiques and bars, is the award-winning Star & Garter. 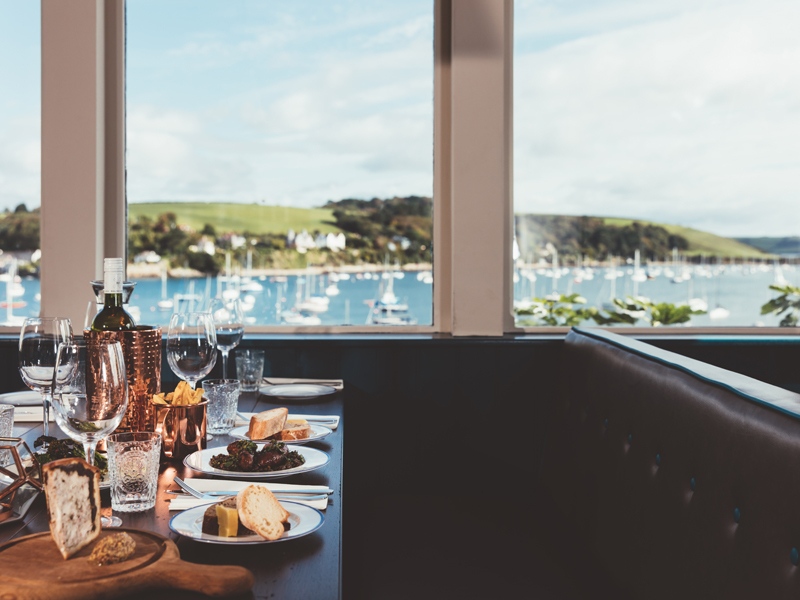 The pub serves some of the best food and cocktails in town and boasts wraparound views of Falmouth’s stunning harbour. A trio of airy apartments sit atop the pub, our favourite of which is The Penthouse. Waking up to those dreamy views of the Fal Estuary on a summer morning is a real treat. If your idea of a perfect summer’s day is spent exploring the countryside, this is just the place. Set in a picturesque and gloriously remote Pennine village, the Lord Crewe Arms is a characterful coaching inn with contemporary-rustic bedrooms. Disappear for the day to walk, cycle or explore Hadrian’s Wall, then return for delicious but unfussy dishes and a restorative local pint before a blissfully peaceful night’s sleep. 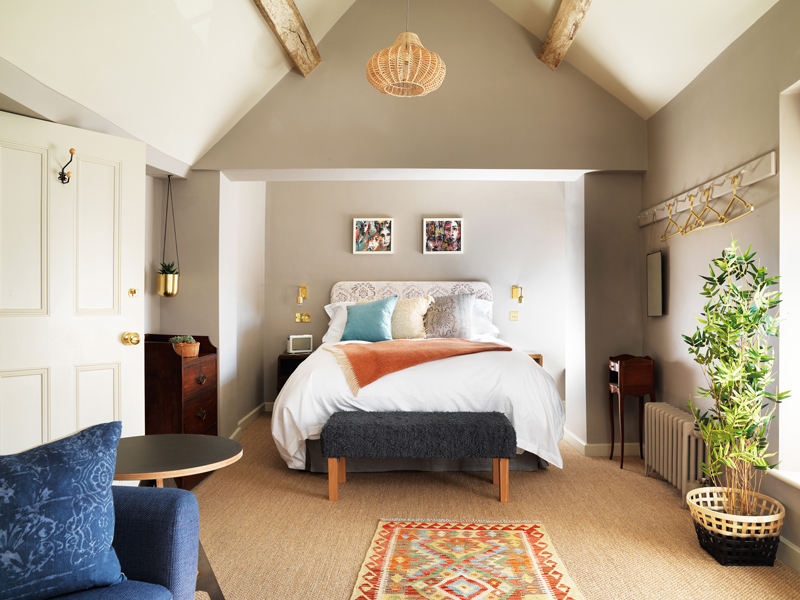 Once a sleepy watering-hole, now a boutique-inn with stylish rooms, The Cow Dalbury has a big focus on gastro wining and dining (we loved the lighter sharing menu) and is the perfect base for a summer weekend exploring the East Midlands. You’re within striking distance of the Peak District for sunny strolls, or take a picnic and head to nearby Chatsworth House with 105 acres of gardens and a packed calendar of summer events. The tiny, idyllic village of Goring-on-Thames is a hotspot for long summer days – strolls along the water, boat trips in the sun, jugs of Pimms by the river. At the heart of the village is The Miller of Mansfield, a country pub with contemporary, luxurious lodgings. Enjoy a taste of the good life as you lounge in the terrace garden with a devilish cocktail or a glass from the fabulous wine list. 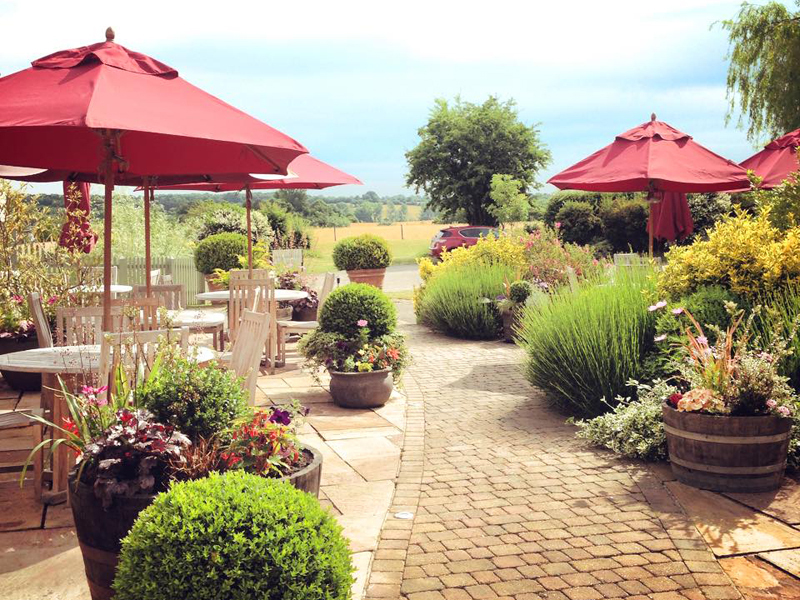 The inviting outdoor terrace of this Suffolk gastropub-with-rooms brims with flowers in the summer months; views of green fields and water meadows stretch out beyond. It’s a gorgeous spot to enjoy fabulous local food and a glass or two from the extensive wine list. Retire to welcoming bedrooms – plump for the Superior Rooms with amazing rolling views or, if it’s a special occasion, the Executive Room with its private terrace. A 17th-century thatched pub in a picturesque Somerset-village setting, The Lord Poulett Arms is a perfect spot for a summer weekend break. Stylish bedrooms marry historic features with fashionable touches, including Berber rugs and rolltop baths. There are gorgeous countryside walks from the village, and the Blackdown Hills are a short drive away. 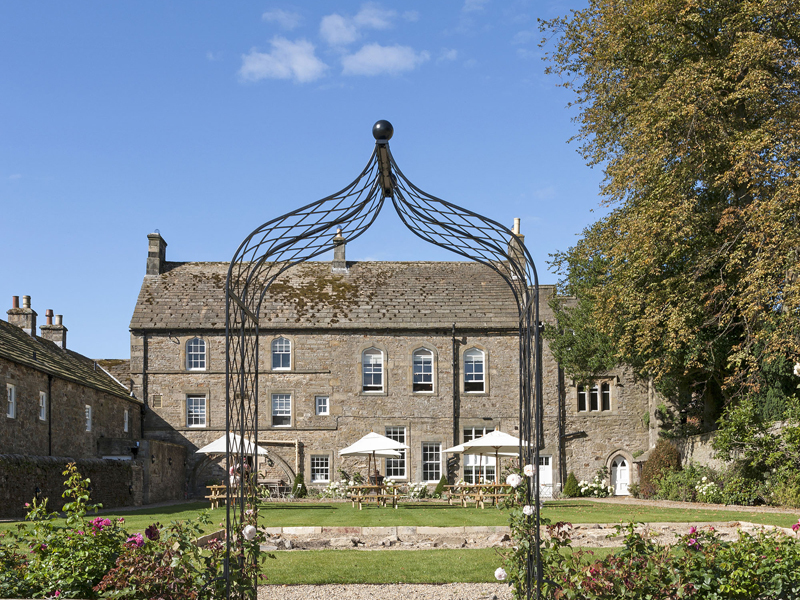 Or just stay put; the food and drink here is the real draw and there’s a pretty walled garden for long, lazy lunches.